Traditional music can be a funny animal. For example, the most exciting and creative players may never perform in public other than the occasional pub session or after-hours festival jam. This is a part of the tradition: old-time Irish and Appalachian fiddlers were usually farmers and tradesmen, just like the rest of us working stiffs. Thus we find a wierd, wonderful subculture of fanatic, world-class Irish musicians out here on the West Coast, leading normal lives at normal jobs and meeting up every so often to engage in the uplifting spiritual experience called the Irish session. Produced by John Doyle, this collection shimmers like the moon on the Shannon when it breaks through the ragged clouds of Ireland’s west. 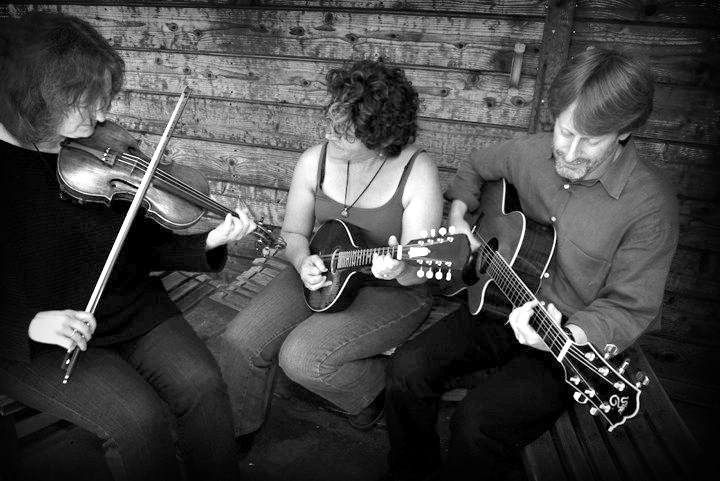 The trio displays a canny knack for putting together sets of three or four tunes that lead the listener from lazy hornpipe to lilting jig to reels that swing like there’s no tomorrow. 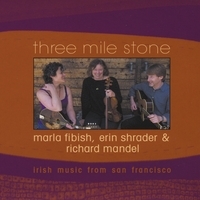 Marla’s amazing mandolin playing sets the bar for all others; Erin’s fiddle practically glows from within, with a fire stoked by her passion and experience; and Richard’s guitar lays down a rhythmic foundation full of nuance and intricacy. The ladies also sing now and then, with style and grace. Both Marla and Richard display ample prowess on their other instruments, the accordion and tenor banjo. And the band ventures beyond the usual jigs and reels to prove that they know their way around polkas, waltzes, and airs, both inside and out. There’s not a dull moment on Three Mile Stone. Fiddlefreak recommended!